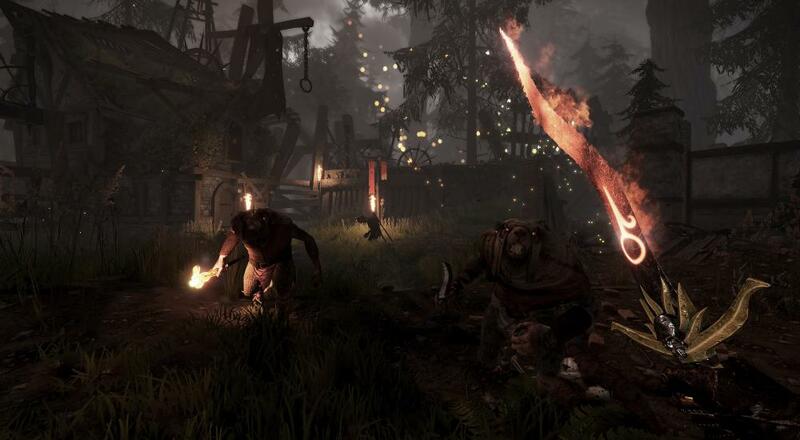 While Vermintide 2 may soon be on its way, the developers at Fatshark are still getting some new content out for the original, Warhammer: End Times - Vermintide. The "Death on the Reik" DLC dropped last week and, similar to previous DLC offerings, adds a couple new levels and a new melee weapon, in addition to some new achievements. There's a loose story in the DLC (someone stole some books from the Inn Keeper and you need to get them back) to spur the group of adventurers to a new location, but really, we're all here for the chance to put the pointy end of the sword into more Skaven. The new levels, Reikwald Forest and The River Reik, offer more outdoor/open terrain where you'll get swarmed from all sides, so be prepared for some epic "fighting back-to-back moments" with your co-op crew. The new Ceremonial Dagger for Sienna (the fire mage) will help with this as it can set enemies on fire. "Death on the Reik" is currently available on the PC only via Steam for $6.99. As with past DLC offerings, if you've got a group of friends with whom you regularly play, only one of them needs the DLC and then host the game in order for everyone to play the levels. You can also pre-order Vermintide 2 and you'll get the DLC for free. No word on when this content will be available on the PlayStation 4 or Xbox One. Page created in 0.3120 seconds.